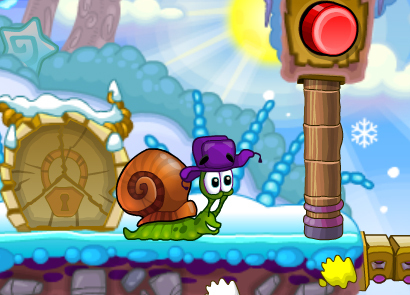 Snail Bob is back and on one of the most amazing, creative adventures yet in Snail Bob 7! Help bob defeat angry shocking bees, deadly dragons, and a slew of other mythical and fantasy beings in his dreamy adventures to become a world-renowned adventuring hero. Collect gold stars throughout each adventure to improve your score and save the day! Can you handle it? 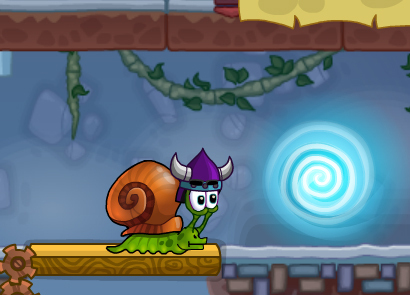 Snail Bob loves a good fantasy book. Every night he likes to read his latest favorite book that features massive, scary dragons, ghosts and goblins, and other fantasy creatures. One night, after reading a particularly interesting book, he began to dream about being a world-famous adventurer, on a mission to save the world from these mythical beings he often reads about in his book. 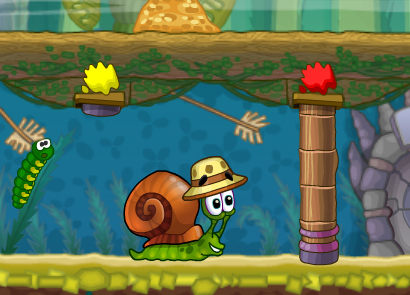 Help him claim victory in this action packed adventure game, Snail Bob 7. 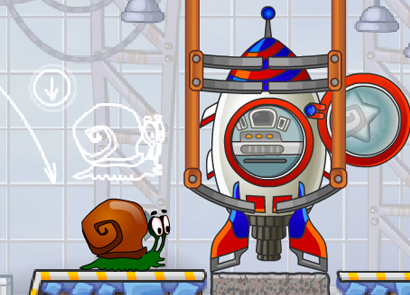 Similar to the previous versions, the controls necessary to complete each mission are simple: all you need is your mouse and a few specific keys on your keyboard. 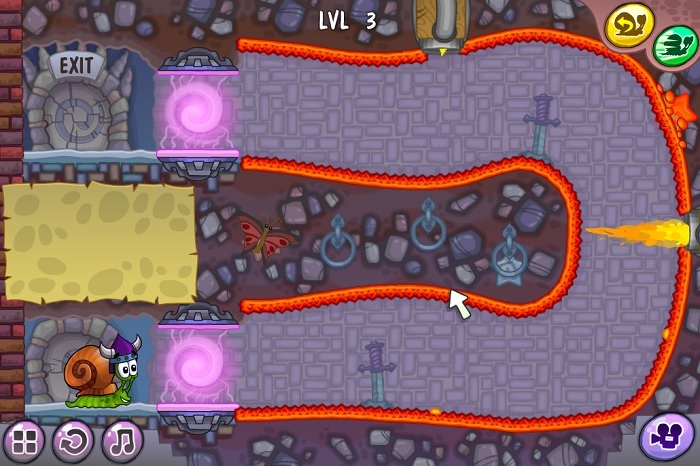 Mouse/clicking – Use the mouse to click on various buttons, levers, and other functions throughout each level of the game. 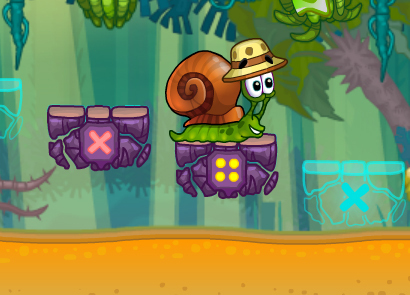 These options trigger different effects, such as moving platforms, opening doors, using keys, and more. Number 1 keyboard button – Press the number one button on your keyboard in order to turn Bob around when necessary, when there’s not a turn-table type of platform available. Alternatively, you can also activate this feature by clicking on the appropriate button located at the top right corner of your screen. Number 2 keyboard button – Press the number two button on your keyboard to activate the speed booster. 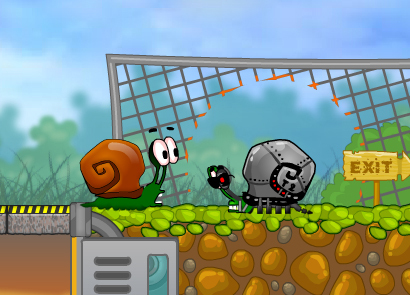 The speed booster will make Bob move two times faster than his normal pace, allowing you to quickly navigate past dangerous obstacles or advance to the exit faster – which will help boost your overall score. Alternatively, you can also click the appropriate button located at the top right corner of your screen to also activate this function. 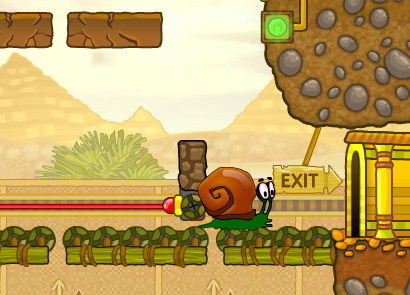 Similar to previous versions, Snail Bob 7 offers 25 action packed adventure-style levels for players to enjoy. Unlike the last few previous versions, however, this game does not include mini-games or Gallery images for you to unlock. 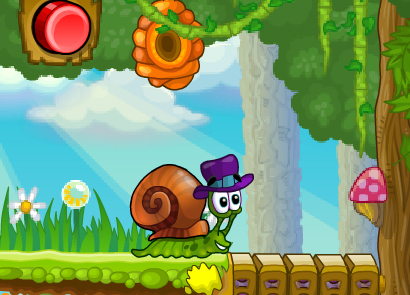 Therefore, collecting the golden stars throughout each level only helps your overall score. 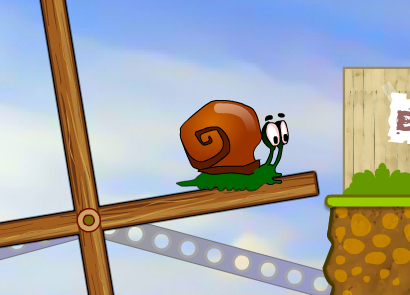 Did you get stuck on a particularly difficult level? Can’t figure out how to get past that one fire breathing dragon or find that last star on level 15? No problem! 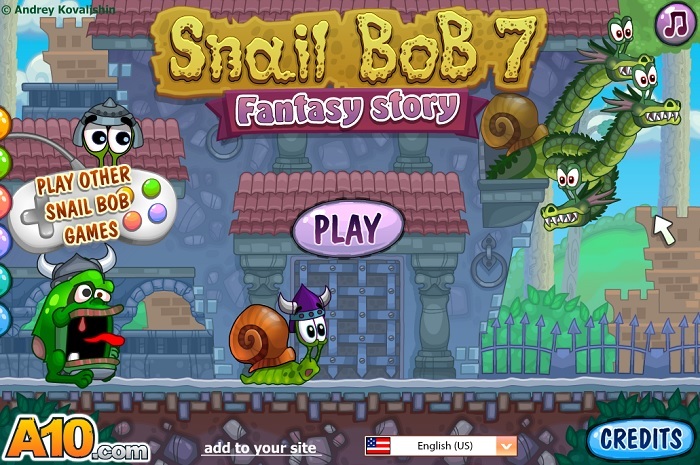 Simply do a google search for “Snail Bob 7 video walkthrough” to find all of the hottest videos available on the internet, designed to help you overcome any level in the game. Many of these videos can be found on YouTube or on a variety of other websites.